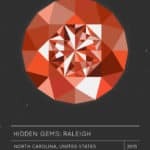 Today’s Hidden Gems travel guide to Durham, N.C. comes from Amber of Bites of Bull City! When my husband and I vacationed in Durham, N.C. six years ago, people thought it was funny… Durham wasn’t exactly known as a “tourist destination” at the time. The city was, however, already beginning to transform due to the revitalization of a large portion of downtown. We enjoyed the vibe and culture of the city so much that when presented with the opportunity to relocate to Durham a few years later (from Boston), we jumped at the chance. Even we couldn’t have predicted how quickly and how much Durham would grow in just a few short years. 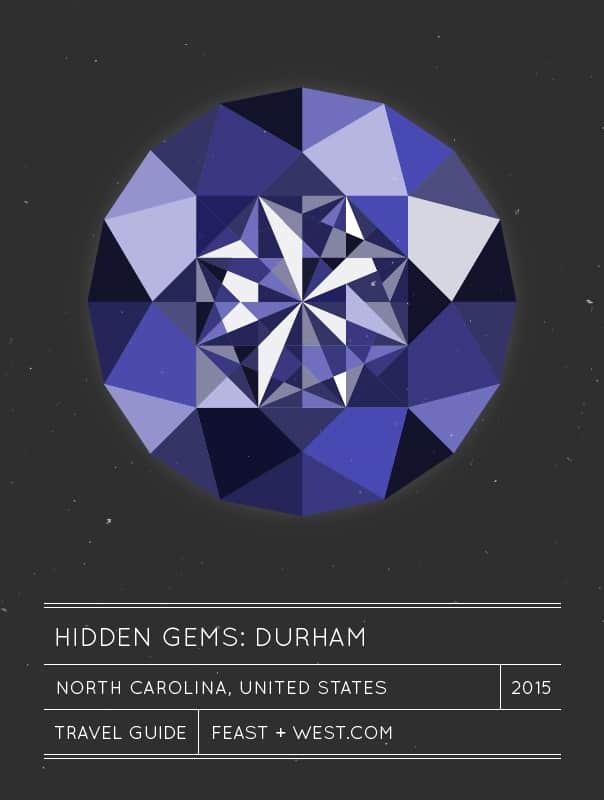 Now, Durham is a hidden gem that’s not so hidden anymore. 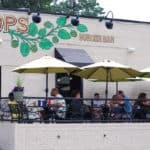 Home to Duke University, Durham was recently dubbed the “South’s Tastiest Town” by Southern Living and one of seven up-and-coming foodie destinations by CNN. The Durham Performing Arts Center consistently ranks among the most attended theaters in the U.S. by Pollstar. It’s no surprise that within the next year, downtown Durham will welcome several new hotels within walking distance to all the action. I’ve become a very proud Durhamite over the past few years and I love sharing all the exciting aspects of our city with locals and visitors. This Durham travel guide includes just some of my favorites. 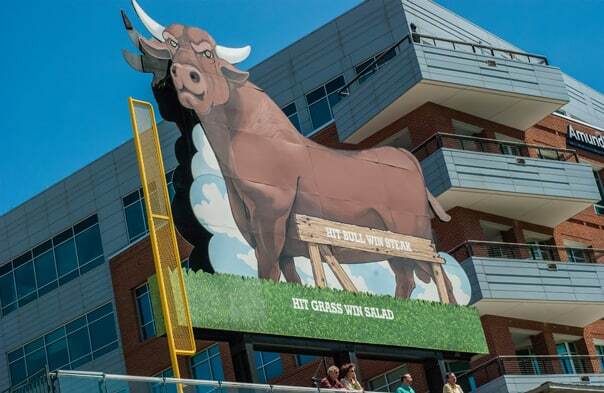 Click below to see Amber’s guide to Bull City! Across the street is another popular eatery: Pizzeria Toro, which offers elevated wood-fired pizza topped with fresh seasonal ingredients. You know a place is good when everyone raves about the kale salad. Rue Cler is another downtown restaurant worth a trip because of its perfectly prepared French dishes and fabulous beignets, which people claim rival those of New Orleans. Authentic and flavorful Cuban food can be found at Old Havana Sandwich Shop and Mesa Latin Kitchen on opposite ends of downtown. Both are fantastic options for Sunday brunch as well. If you have a hankering for BBQ, head over to The Pit, which gives you the option to try Eastern North Carolina and or Lexington-style BBQ. (Yes, there are different styles of BBQ and people take it pretty seriously.) Don’t forget the fried okra! For high-quality modern Japanese cuisine and sushi, check out Basan, which is a brand new restaurant next to the Durham Bull’s stadium. Everything from the miso soup to sashimi to a side of Brussels sprouts will wow your taste buds. I also love Sake Bomb. Located about 10 minutes from downtown Durham, this truly is a hidden gem in an unassuming spot in a strip mall. Don’t be fooled, Sake Bomb has delicious and generous portions of everything from sushi to pho to curry. Over on Ninth Street, Monuts bakery and donut shop recently reopened in an expanded space. 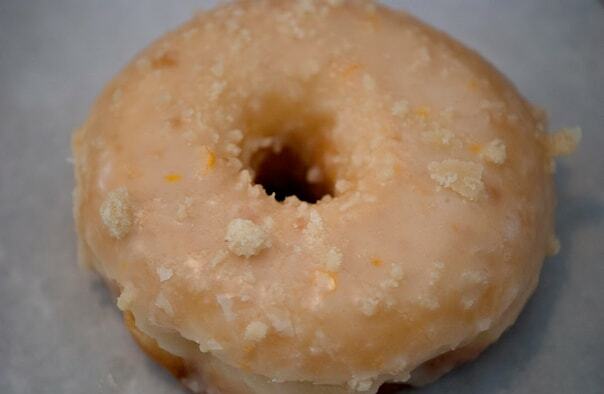 The popular eatery now has an even bigger and better selection of donuts, breakfast sandwiches and lunch specials. Everything is made in-house. It’s the perfect place to grab breakfast before exploring. 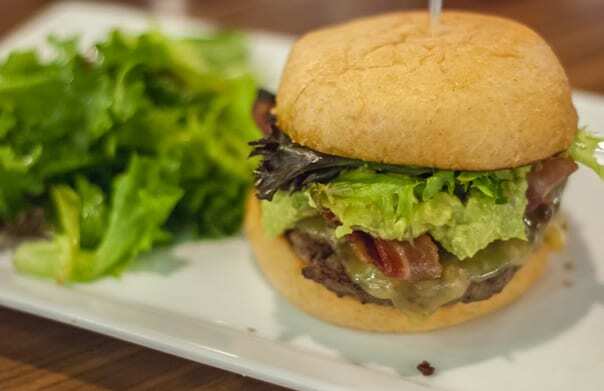 Also on Ninth Street is a new-to-North Carolina burger and seafood joint called Burger Bach, with grass-fed New Zealand beef, free-range chicken and fresh seafood. It’s a great spot to hang out and watch a game. One of my favorite Mexican spots is NanaTaco on University Avenue. It’s a lively hangout for families, students and couples looking for a flavorful, filling and fast meal. Be sure to go beyond the confines of chicken tacos — this place shines with its spice-rubbed and “dirty” meats. Further down the road you’ll find a German restaurant, café and bakery called Guglhupf. With a funky interior and large outdoor patio, this is a great place to unwind. The bakery next door offers fresh breads, German pretzels and sweets for purchase. Another café where the locals go to hangout is Cocoa Cinnamon. It’s the perfect place to warm up in the evening or take a break during the day with coffee, tea or sipping chocolate in hand. Ready for a drink? Fullsteam Brewery brews traditional and experimental beers and is always a lively downtown hangout. Nearby, Bar Virgile is getting rave reviews as a new bar offering tasty creative bites for lunch and dinner. If you’re in the mood for something different, Dashi ramen shop has an upstairs izakaya (Japanese pub). Enjoy sake and shochu paired with drool-worthy plates. Those with a sweet tooth will definitely want to head over to The Parlour. Offering an ever-changing menu of creative flavors, this ice cream shop is a huge hit with people of all ages. 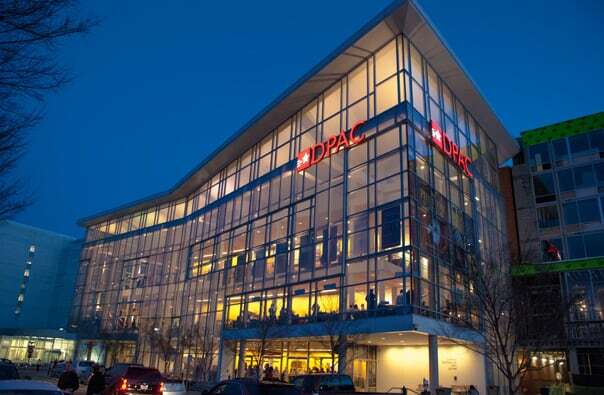 The Durham Performing Arts Center (DPAC) is one of the most visited theaters in the entire country. 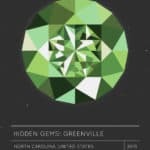 It brings incredible talent and shows right here to N.C. The building is in the process of expanding to include a hotel, a new restaurant and new VIP area. There is a lot to explore at The American Tobacco Campus (of which DPAC is a part). The old tobacco factories now house restaurants, businesses and a lush green lawn in the center. During the summer, there is a free musical concert on the lawn every Thursday evening. 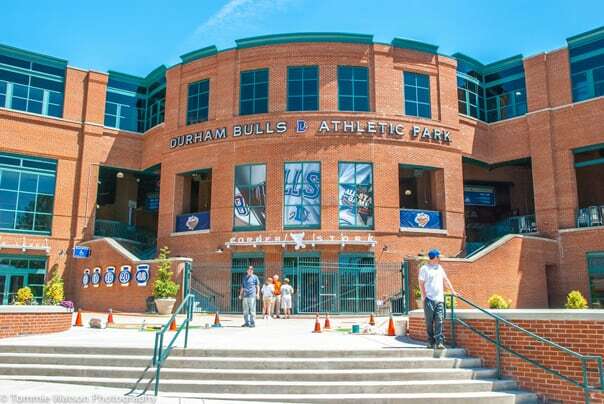 The Durham Bulls Athletic Park is right here, too. The park, which is celebrating its 20th anniversary this year, has been newly renovated. Catch a game during the season and enjoy some fresh local food and beer while you’re here. The Durham Farmers Market at Durham Central Park is open year round on Saturdays and seasonally on Wednesdays. 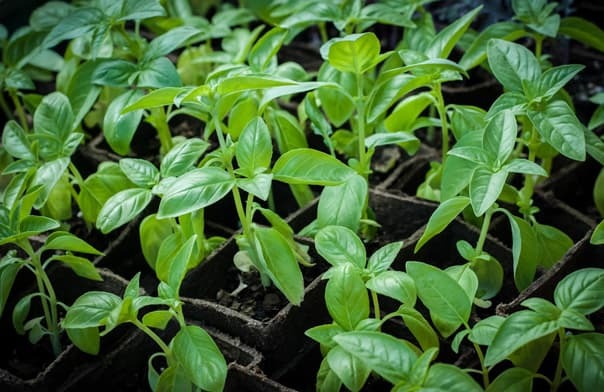 Along with local farms and artisans selling fresh N.C. produce and goods, there is a craft art section, food trucks on site and a park across the street for children to run and play. Every few months, Durham Central Park hosts a food truck rodeo where about 50 food trucks from the surrounding area converge with a mob of hungry foodies. There is no entry fee (just pay for what you order at each truck) and enjoy testing out different cuisines while enjoying live music. Taste the Event is a weekend-long food festival in the spring hosted by a local lifestyle magazine. It includes a variety of events that bring the culinary community — both chefs and foodies — together to celebrate local food and drink. Other popular spring festivals include the Full Frame Documentary Film Festival, which is an annual international event dedicated to documentaries. Filmmakers and film lovers from around the world come for this four-day festival, which includes the showing of over 100 films along with discussions and panels right in downtown Durham. Also downtown in the spring is the Art of Cool Festival — a progressive jazz and alternative soul music festival. It’s a weekend long event that features indoor and outdoor musical performances. In the fall, Centerfest takes over the streets of downtown Durham with art vendors, performers, a kid’s zone, and some food. Speaking of art, 21c Museum Hotel recently opened in the heart of downtown. 21c is a boutique hotel with a 24-hour art gallery inside. There is also an on-site, locally run restaurant called Counting House. If you like museums, be sure to check out the Nasher Museum of Art at Duke University. It is the perfect size museum to tackle during a leisurely morning or afternoon and features a contemporary collection of art. Just up the road are the beautiful Duke Gardens. 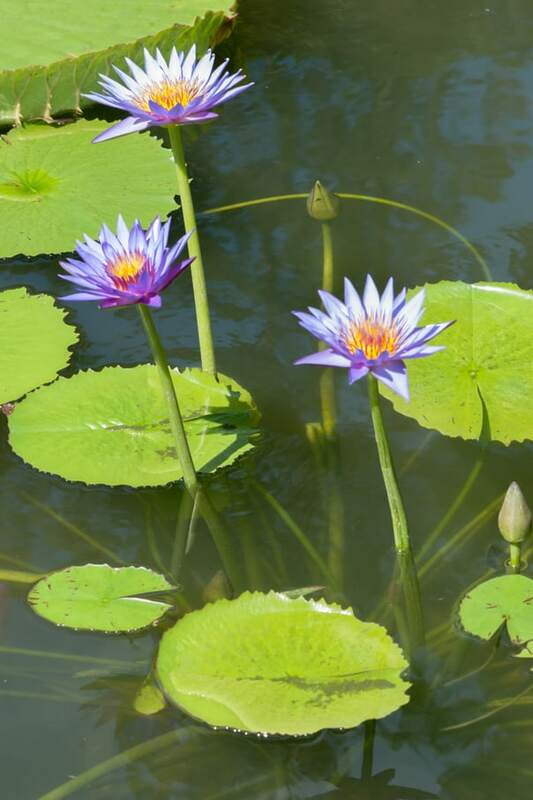 Complete with a Japanese garden and teahouse, koi pond, and endless trails through beautiful blooms, this is a wonderful place to spend the day in almost any season. There’s no entry fee but you do have to pay for parking. Morgan Imports is just as amusing for adults to wander through as it is for kids. 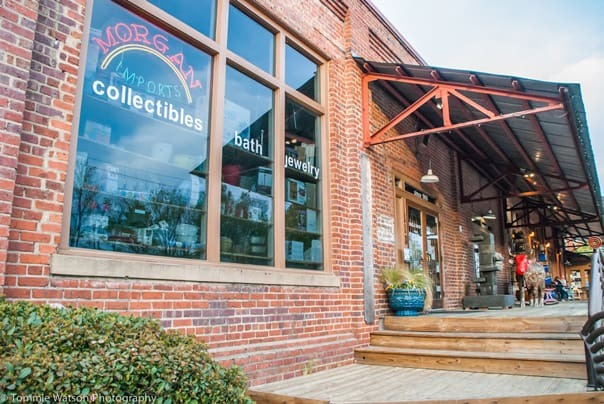 The large brick building is packed with a funky and fun assortment of everything from books to kitchen products to jewelry to toys to home décor. Morgan’s neighboring business, Parker & Otis, is a cool café/gift shop hybrid. Grab a sandwich or a chai and wander though the store, which features toys, cookware, cookbooks and gourmet delicacies. Over on Ninth Street is a fair trade market called One World Market. Here, you’ll find beautiful and unique household items, toys, cards, and gifts from artisans all over the world! For vintage and funky Durham memorabilia, check out Dolly’s Vintage, a charming boutique on W. Main Street. A few doors down is a newish bookstore called Letters, a cozy, inviting shop to browse for a new or used book. For a completely unique shopping experience, head over to The Scrap Exchange in the Lakewood neighborhood. This nonprofit creative reuse center promotes creativity and environmental awareness. It’s a popular place for teachers and students, artists and DIYers. The Art Market at Vega Metals is also an interesting place to shop on Saturdays, when it opens in conjunction with the Durham Farmers Market. Very talented artists sell jewelry, woodwork, metalwork, home goods, apparel and paintings. 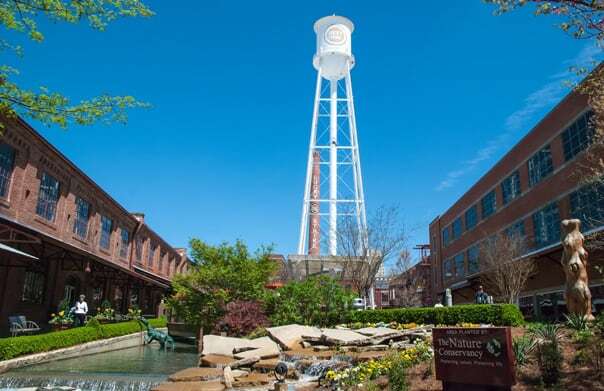 Geographically, Durham is located in the middle of what’s known as “The Triangle” (Raleigh/Durham/Chapel Hill), making it a convenient 20-minute drive to downtown Chapel Hill and about 45 minutes to Raleigh. Day Trip: 20 minutes: Hillsborough, N.C. — A short drive away is the quaint town of Hillsborough. For those who want a quieter escape, take the drive out to Maple View Farm for ice cream — it’s a beautiful spot to catch the sunset. Downtown Hillsborough is small and walkable with a market, several delicious restaurants and art galleries. The new expansion of its Riverwalk (accessible from downtown) makes this a great place to explore the outdoors. About 2 hours: Wilmington, N.C. — Durham is practically equidistant to the mountains and the coast. The closest coastal location is the city of Wilmington, which is well known as the backdrop of many movies and television shows over the years. 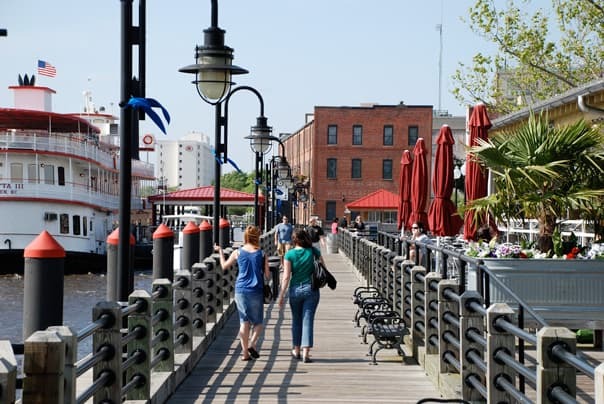 Downtown Wilmington is walkable with plenty of dining and shopping options. It has a scenic Riverwalk along the waterway too. There are, of course, beaches — including Wrightsville Beach and Carolina Beach — popular destinations for families and vacationers. About 3 hours: Asheville, N.C. — As for the mountains, Asheville is a favorite. It’s an artsy, eclectic city with culture, creativity, outdoor activities, great food, and scenic beauty. The Biltmore Estate is located here as well. 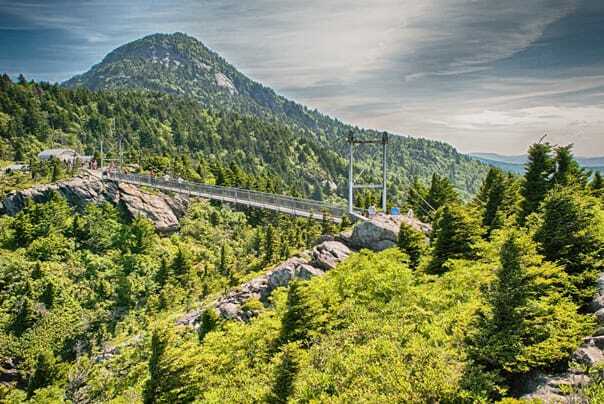 Just a little north of Asheville is Boone, smaller in scale, Boone is perfect for outdoor enthusiasts and nature lovers with scenic views along the Blue Ridge Parkway. Amber Watson is the creator and writer of Bites of Bull City, a Durham, N.C.-based blog sharing local food-related news, events and insider resources with fellow foodies. 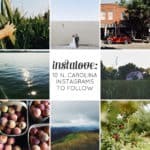 She also blogs for a southern bridal magazine and spends her free time with her husband and dog, taking walks and checking out all the new places to eat in Durham! Susannah, thank you so much for sharing my guide to Durham on your blog today! I love sharing how cool Durham is with everyone! I hope visitors find it useful when traveling to the area and spend some time in the Bull City. Making me miss Durham 🙂 Though you missed my favorite, Mateo. Seriously, you cannot visit Durham and not go to Mateo for dinner (or lunch if you are there during the week). Believe it or not, I haven’t yet been to Mateo! My husband eats too much for tapas normally 🙂 but it sounds good. I love this guide! I haven’t had the chance to fully explore Durham yet so am definitely saving this for later to plan a fun weekend getaway! Thanks, Chrissie! I hope you find it useful while exploring the Bull City! There is so much to do now in Durham; it would be a fun getaway. Enjoy!